Last Sunday was the big day of The FEST! For the past couple weeks we've been working on many promotional videos for the event and last weekend we got to attend it and film it. There were tons of people, performances, inspiring speeches and even a BMX show! 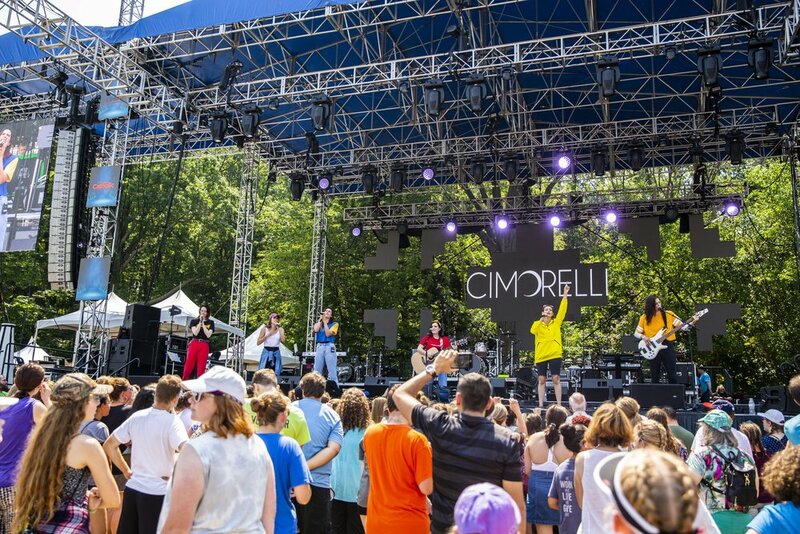 Photo of the crowd during Cimorelli's performance at The FEST! Here's some behind the scene photos from the concert and the event itself-- we had an absolute blast helping out! Our co-founder Evan Prunty did video and photography, as well as our photographers Alec Miller and Shelly Duncan. Learn more about The FEST here!